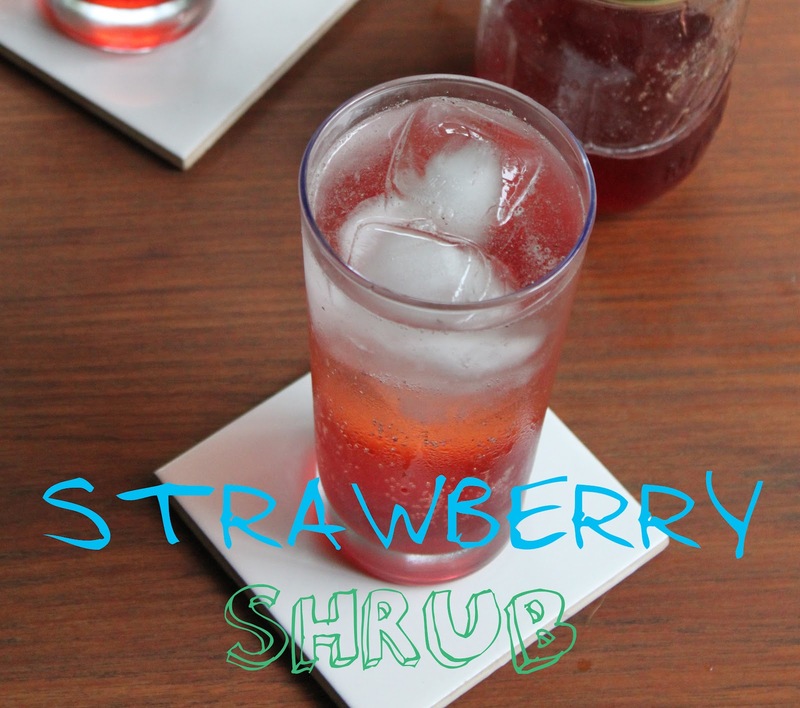 Why, yes, I am talking about drinking a shrub, and, no, I don't mean a plant. I mean the sweet, vinegary concoction that can be made with whatever berries are in your fridge that pairs decidedly well with soda water. Oh, and gin. More simply a shrub is a fruit flavored syrup that is made with some sort of acid, usually vinegar, meant to quench your thirst while also whetting your appetite. Traditionally shrubs were prepared as a means of preserving fruit well past its peak. For us modern folks it means we can use the fruit that isn't pretty enough to instagram or that we bargained off our farmer at the market. I used strawberries, but almost any fruit can be substituted. Hard-core Shrubbers* make their own vinegar for shrubbing, and though its pretty easy, I find most commercial vinegars work well for shrubbery. Cider vinegar, rice vinegar, even balsamic can be use, but avoid white vinegar as it has too much acid and not enough flavor. This sweet tart syrup can be combined with soda water for a non-alcoholic sip or add a splash (or more) of gin for a refreshing cocktail. Combine the strawberries and sugar in medium non-reactive saucepan and mash with a potato masher until most of the sugar is dissolved. Add the water and vinegar bring to a boil, stirring occasionally. Remove from the heat, add the pepper, cover and steep for one hour. Strain into an airtight container and store in the fridge. Combine with soda water or even use to make a quick marinade or vinaigrette. I'm a professional food enthusiast, wife, and mama sharing recipes, tips, and ramblings from Atlanta, Georgia. © 2011 - 2016 Meghan J. Splawn. Please respect my work. Powered by Blogger.